In a professional career spanning a decade, Rory McIlroy's sensational skill and accuracy have seen him acknowledged amongst the world's greatest athletes. With the Nike golfer reaching superstar status across the globe thanks in part to his impressive record on the golf course as well as his incredible endorsement deals. Born in Holywood, County Down in Northern Ireland in May 1989, McIlroy was introduced to the sport at the exceptionally young age of 18 months by his father Gerry. Resulting in his talent shining through early on - including a 40-yard drive at just two years old. McIlroy became the youngest member at the Holywood Golf Club at the age of seven, beginning his early training with Michael Bannon, whom the golfer still utilises as his dedicated mentor. Despite signing a letter of intent to play collegiate golf at East Tennessee State University in 2004, McIlroy forwent the scholarship following a win at the 2005 West Ireland Championship and the Irish Close Championship, where he became the youngest-ever victor. With a burgeoning amateur career that included being a member of Europe’s winning 2004 Junior Ryder Cup Team as well as making the cut at the 2007 Dubai Desert Classic, McIlroy made the decision to turn pro in September 2007 at the age of 18. The beginning of McIlroy’s career saw the young golfer experience great success on the European Tour. Winning the Dubai Desert Classic in February 2009 and finishing runner-up to Lee Westwood in the Race to Dubai the same year, catapulting the then-19-year-old into the top-10 of the official golf world rankings. In 2010 McIlroy decided to play full-time on the PGA Tour. He achieved his first win on the U.S. circuit at the Quail Hollow Championship in May, shooting a final round 62, a new course record and becoming the first player since Tiger Woods to win a PGA Tour event before his 21st birthday. The Northern Irishman’s unprecedented and stunning performance at the U.S. Open the next year gained McIlroy his first major title - a sign of things to come for the hugely talented and promising young player. During the 2011 event, McIlroy enjoyed an eight-shot lead over some of the world's best players - including Jason Day and Lee Westwood - to take the crown at the Congressional Country Club in Maryland. He achieved the mean feat - which saw him become the youngest U.S. Open winner since Bobby Jones in 1923 - by shooting a final round of 69 to end the proceedings on 16-under-par at the prestigious event. 2012 continued to be a great year for McIlroy. Posting numerous top-10 finishes before securing his next victory at the Honda Classic in Palm Beach Gardens, a win that moved the golfer to number one in the Official World Golf Rankings for the first time in his career. Making him the second-youngest number one in history. A further four wins, including more major success at the PGA Championship in August helped give McIlroy one incredible season. But would he be able to sustain his impressive play? In January 2013, McIlroy announced he would be changing equipment. Switching from Titleist to Nike for the upcoming season, the golfer went on to struggle for most of the year. Failing to recapture the heat he generated throughout 2012. However, McIlroy’s game seemed to be returning when he won the Australian Open in late 2013, beating Adam Scott by one-stroke. By 2014, the Nike golfer’s issues seemed to be well and truly behind him as he secured four wins including his first World Golf Championship as well as two more major victories at the Open Championship and PGA Championship. Resulting in McIlroy sweeping the PGA Tour awards that year as well as recapturing the number one spot in the official world golf rankings. 2015 started out with a win for the golfer at the Omega Dubai Desert Classic. 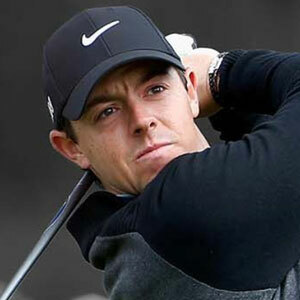 Where McIlroy cruised to a three-stroke victory ahead of Sweden’s Alexander Noren. The Nike golfer would go on to win two more times in 2015 as well as earn two further titles in 2016, including the season-ender Tour Championship. This last win propelled McIlroy to the top of the FedEx Cup standing, winning the golfer a $10 million bonus. In August 2016 Nike announced it was pulling out of the golf equipment game. Leaving McIlroy a free agent for the upcoming season. After testing out the TaylorMade M2 driver at the end of 2016, McIlroy returned for 2017 with an arsenal of Callaway and Titleist gear. He noted that he would not be signing any equipment deals in 2017 but would enjoy being able to test out a wide variety of equipment options.